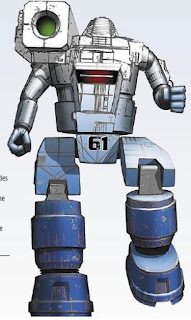 The Chaos Beast: Cortex+ BattleTech - MechWarriors Are Go! 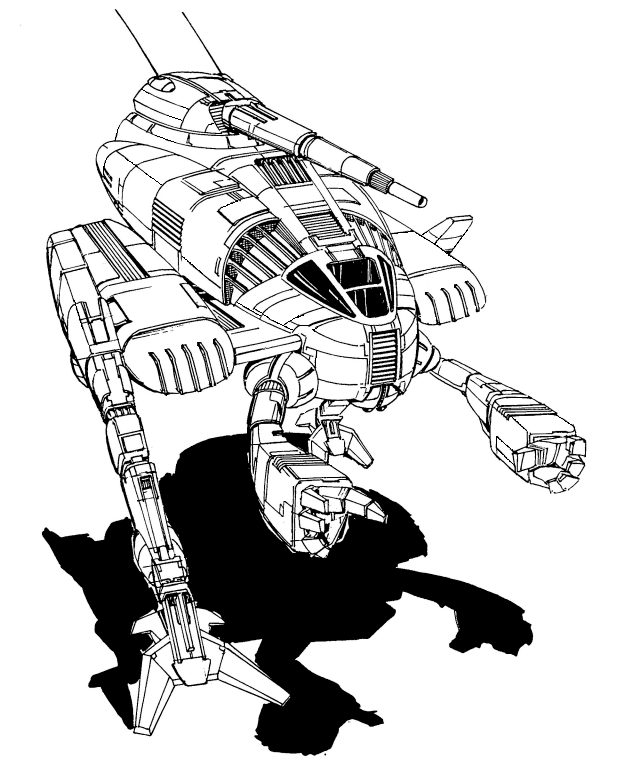 After creating a second MechWarrior last week, the next question is how would the Firefly RPG handle a 'Mech battle? To find out, I'll use Rahela and Victor to demonstrate. You may want to place the character sheets in their own tabs to follow along. With Rahela from a Periphery state and Victor from the Lyran Alliance, normally they wouldn't cross paths. The Capellan Confederation lies in between, but therein lies the solution. The Capellans have a treaty with the Magistracy of Canopus and the Taurian Concordat that allows for peacekeeping forces from the two Periphery states to serve in the former Chaos March region. Said region saw forces from both sides of the Federated Commonwealth Civil War pass through. Choosing a random planet that has Lyran forces still in garrison that House Liao wants to reclaim isn't a problem. Placing a Canopian unit on planet lets me create instant conflict between the characters, though both sides have orders to not start a war. To add to the fun, the year is 3067, months after the second Star League disbands. The Major Houses would have gone back to their state of cold wars with each other, but one faction took the disbanding hard. The Word of Blake, who splintered away from ComStar after the Clan Invasion, was never the most stable bunch. When ComStar made the decision to shun the mysticism of centuries of being the technological leaders of the Inner Sphere, the more faithful broke away, following the religious aspects instead. The Word was hoping to get a seat in the second Star League and, well, having their religious goal thwarted sent them off the deep end, leading to the Jihad. Now for the non-canon portion of the evening's proceedings. Zurich, which lies just outside the Confederation's 3067 borders, is one of the worlds House Liao wants recovered. House Steiner has a company still stationed there, but the unit is well aware that they should be recalled back within Lyran borders. There is also a Canopian company performing peacekeeping duties, helping the world rebuild after the FedCom Civil War and the predations of being in the Chaos March. Rehela commands a reconaissance lance for the Canopian company; Victor is the second-in-command of the the Lyran company and leads his own recon lance. The action starts after both characters spot the other on sensors while on patrol. A drop ship was detected landing nearby and both were sent to investigate. Neither have orders to shoot on sight, but that doesn't prevent them from hindering the other. Both start with one plot point each. The stakes are set at 8, the total of the highest two dice rolled. Her total is 16, an extraordinary success! Not only does she get by, but she gains a d8 Big Damn Hero die. Rahela guns her Hussar, dashing past the Lyran Axman as if it stood still. She does wonder why the Lyran is out here if the drop ship could be for him. Victor spends a plot point to stay in the scene. He wants to slow the Canopian down to get a good look at her 'Mech. But, he gains a complication, Out of Range d8 (from the highest rolling die in Rahela's pool). To slow her down, he wants to light the ground beneath her. BattleMechs and heat don't mix. Rahela sets the stakes and gets to add the Out of Range complication to her pool. Her total is 16, but she gains a plot point and the GM gives her the complication Uneven Ground d6. Victor now builds his pool. Because he's shooting, he uses his 'Mech's Systems attribute and his own Shoot skill. He also adds the Uneven Ground complication; Rahela can't dodge as well now. It's going to be tough to beat Rahela's total, thanks to her Engines roll. He could spend a plot point to double his Systems roll thanks to the Y'All Are Outgunned trigger, but he wants to save it to add a die to beat Rahela's stakes. His total is 14, not enough, so Victor spends his last plot point to add in the Axman's 4 to make the total 18. The GM passes along a plot point for the jinx on the Uneven Ground, giving Victor Low Missile Supply d6. Victor launches a salvo of long-range missiles, tracking the ground in front of the light 'Mech, setting the light brush on fire. The Hussar stumbles a bit on the rough ground, placing the Canopian in the middle of the blaze. A light flashes on his console; for some reason, the LRM rack is reporting low ammunition. When he has time, he'll have to take a look. The GM now springs his surprise. Five new 'Mechs, all Hunchbacks run in. Each one has the Word of Blake emblem emblazoned, and each one opens fire. Since these are Extras, they only have the one distinction, Word of Blake Hunchback d8. They split up, three after the Axman and two after the Hussar. Because Rahela and Victor were focused on each other, the WoB 'Mechs take the initiative. The first action is to fire on Victor, so he gets to set the stakes. He takes the Battle Scarred distinction this time around, along with Veteran of the FedCom Civil War; Victor has seen combat before. The jinx on the Drive roll goes to step up Low Missile Supply to d8. Victor spends a plot point to add a third die, giving him a total of 17. The first set of Blakists, firing on Victor, build their pool, starting with Word of Blake Hunchback and adding the GM determined difficulty of d8. Since there are three ganging up on Victor, two more d8s get added to the pool. They don't get Victor's Low Missile Supply complication yet. The Blakists open fire, three focusing on Victor. Lasers cross in front and around him, but he twists his Axman almost inhumanly to avoid being hit. The first group of Blakists pass the initiative to their brethren against the Hussar. Rahela now has to build her pool. She uses her MechWarrior distinction here; she has the training, if not the experience. The Canopian also uses her 'Mech's Electronic Warfare distinction, to try jamming the Blakists' targeting systems. This means using Systems instead of Engines and allows for the Hussar's Fancy Sensor Array asset. The Canopian's luck holds as she gets another 16. The last two Blakists gang up on her. Since Rahela didn't try dodging, they don't get her Uneven ground complication. The Blakists get a total of 14. Rahela directs electronic garbage at the Hunchbacks targeting her. The 'Mechs' lasers try to track her but are off just enough to miss. With both Blakists groups done, they pass the initiative to Rahela. With the Wobbies in no mood to talk, her best bet is to try to take one out, making the odds against her even. She fires her 'Mech's sole weapon, the ER large laser. The Blakists set the stakes and build their pool. The Uneven Ground complication comes into play; the ground makes getting a stable firing position difficult. The stakes are set at 11. Rahela now builds her pool, just as Victor did when he shot at her. Her total is 15, one short of another extraordinary success. Still, it's enough to take out one of the Blakists fighting her. Rahela turns to face her opponents. A crimson beam lances out from the large laser mounted on the top of her Hussar, nailing one of the Wobbies' 'Mechs in the head. The machine teeters a moment before falling over. Rahela passes the initiative to Victor. The Lyran is impressed with the Canopian's skill and stops worrying about her and focuses on his own problems. Again, the Blakists set the stakes, and add in Victor's Low Missile Supply complication. The Blakists have a total of 16, but Victor has an Opportunity. He passes on it; he wants to spend his last plot point on a trigger, but Rahela takes advantage to get rid of the Uneven Ground complication, leaving her with one plot point. Victor now builds his pool. He spends his last plot point to spend on the Fightin' Type trigger, letting him double his Shoot skill for this beat. If only Victor had another plot point, but his total of 17 is still enough to take out one of the Blakists. Victor fires everything his Axman has. 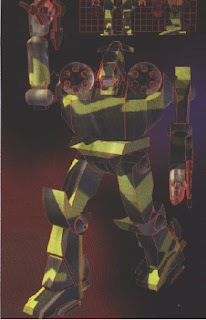 The missiles weaken the armour on one Hunchback enough that when the medium lasers hit, they expose the autocannon ammunition, which explodes when the large pulse laser strikes. The first exchange done, Victor now can choose who gets the initiative. He elects to keep it; he wants to remove another Blakist if possible before they can act again. The Wobbies against him build their pool, losing one die after losing one 'Mech. The stakes are set at 10. With no plot points available, Victor can't spend any to double his Shoot skill. Instead, he elects to take Veteran of the FedCom Civil War at d4, gaining a plot point. He's getting cocky; he faced worse in the War. Victor's total is 14, but the GM buys both jinxes for one plot point, turning the Low Missle Supply complication into Overheating d12. Still, one more Hunchback goes down and Victor now has two plot points. Victor twists his 'Mech's torso to track the next Blakist. Lasers melt through the armour and the structure of the Hunchback's leg. Unbalanced, the 'Mech topples over. With three Hunchbacks down, Victor passes the initiative to Rahela with the hopes the Canopian can take down her opponent. The risk here is that the Blakists can keep the initiative into the next turn, but Victor thinks his Axman can tough it out before he can act again. This time around, the Blakist against Rahela can only roll two dice. The stakes are set at 10. The Blakist is starting to wonder what happened to their numerical superiority, but fanaticism keeps him going. Rahela keeps the same pool as before. She considers using a distinction at d4, but decides against it. The Canopian gets a total of 14, taking out the last Blakist facing her. The Hussar's laser fires several times, burning deep within the Blakist 'Mech. The machine shudders, then shuts down. Rahela passes the initiative to Victor's opponent. Despite now being outnumbered, the Blakist continues his mission. Victor sets the stakes. He decides to tough out the assault, using his 'Mech's Hull. His total is 14. Victor considers spending a plot point to add in the 4, but chances are unlikely that the Blakist could hit him anyway. The Blakist does get Victor's Overheating complication; his Axman is running dangerously warm and even taking a hit could cause a shutdown. The Blakist gets a total of 13, not enough. The remaining Hunchback unloads on Victor. The Lyran braces his Axman, taking the hits solidly. The armour is pockmarked, but remains unbreached. With a new turn starting, the Blakist keeps the initiative. This is his last chance to take out the Lyran scum. Victor builds the same pool as before to set the stakes. The stakes are set at 12. The Blakist also gets the same pool as before. The Blakist gets a total of 5. Worse, for him, Victor not only gets an extrordinary success, giving him a d10 Big Damn Hero Die, he can also spend one plot point to bring Overheating down two steps to d8. Given the choice between Rahela, with no complications, and Victor, who still has heat problems, the Blakist passes the initiatve to the Lyran. The Wobbie sets the stake, though now the Overheating is just a d8. The total is 8, which doesn't look good. Victor, still concerned about the heat levels, decides that going physical is the best approach. The hatchet on his Axman isn't for decoration. He steps forward with the following dice pool, spending his last plot point for Tomahawk Chop. He also takes Alliance Officer at d4, to gain a plot point; this is not standard procedure in a battle. The GM passes along a plot point for the jinx, bringing Overheating to d10. The total is 11, more than enough to bring the hatchet through the Hunchback's cockpit, ending the battle. As silence falls over battlefield, both Rahela and Victor get a communication from their respective commanders, a message that gets cut off by jamming. They face off against each other, then Rahela uses her 'Mech's loudspeakers to offer a truce while dealing with the Word of Blake invasion. Victor agrees. The Canopian then points Victor at a near by river so that he can try to bleed off his Axman's excess heat. Victor is trying to get rid of his Overheating complication. If successful, the complication is gone. Even if he doesn't succeed, the complication steps down by one die type. The GM now sets the stakes, using the complication and a difficulty, set at d6. BattleMechs run hot, but have heat sinks to remove the heat build up. A botch. This wasn't expected. Both Victor and Rahela pass on the opportunity; spending a plot point would reduce Overheating to d6, but the goal is to get rid of it completely, and it's easy to beat a zero. Victor builds his pool. While he is piloting his Axman, the 'Mech's attributes don't come into play here. He just wants to get the Axman settled into a good spot in the river to bleed away the most heat possible. Victor uses his Mental attribute here; he's looking for the best spot, not physically manhandling the 'Mech into position. The total is 15, more than enough to get rid of Overheating and gets Victor a d8 Big Damn Hero die to boot. The GM buys the jinx, giving Victor a Sticky Leg Actuator at d6. That will take a repair facility to fix, so Victor has to live with the problem. With the Axman finally cooled down, Victor and Rahela meet outside their 'Mechs. After a brief discussion, they realize that they both need to get news of the invasion sent to their HQs, or, if if they can't reach them, their respective off-world commands. They figure best place to try to punch through the jamming is at Zurich's ComStar hyperpulse generator, which is where they expect the World of Blake invaders will also be going. Good thing Rahela has a fast 'Mech. Too bad Victor doesn't.